Alstory Simon lawsuit: Claims David Protess of the Innocence Project conspired to frame him for murder. 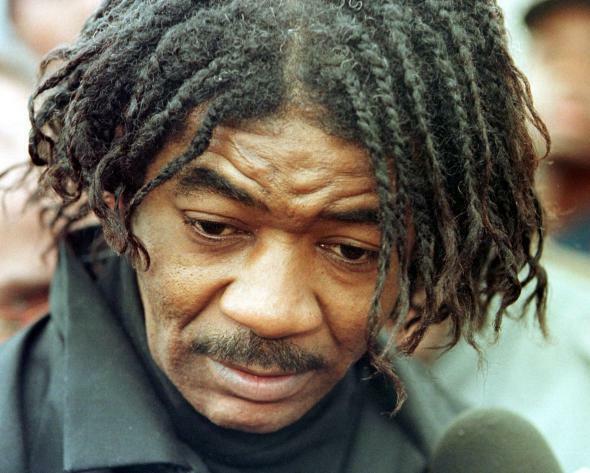 Alstory Simon was freed from an Illinois prison last October after serving 15 years for a 1982 double murder when a state prosecutor questioned the evidence against him. On Tuesday, he filed a $40 million lawsuit in U.S. District Court against the people he says conspired to wrongfully put him away: his defense attorney, a private investigator, and a former Northwestern University professor whose students investigated Simon as part of an Innocence Project course in the Medill School of Journalism, the Chicago Sun-Times reports. [Private investigator Paul] Ciolino, accompanied by a Northwestern student, had traveled to Milwaukee to interview Simon. According to court records, Ciolino later acknowledged to a grand jury that he had obtained Simon’s videotaped confession through deception when he showed him a video of an actor who claimed he knew Simon committed the murders. On the confession tape, Simon said he committed the killings in self-defense. He said he thought he saw [victim Jerry Hillard] pull a gun on him at the pool. The lawsuit claims that after recording Simon’s confession, Ciolino and Protess arranged for him to be represented by defense attorney Jack Rimland, a personal friend of Ciolino, at Northwestern’s expense. Simon eventually pleaded guilty and was sentenced even as a grand jury heard testimony that continued to implicate Porter in the crime—evidence the lawuit says Rimland intentionally held back. The defense attorney’s role in the case was one factor cited by prosecutor Anita Alvarez when she moved to vacate Simon’s 37-year sentence in 2014. The Chicago Tribune noted at the time of Simon’s release that the state was no closer to a definitive answer as to who committed the crime for which Porter and Simon were sent to prison. Alvarez said her office’s yearlong review of the case involving Simon concluded without being able to determine who committed the 1982 murders of Marilyn Green and Jerry Hillard in Washington Park on the city’s South Side. The passage of time and inconsistent statements from possible witnesses made a resolution impossible, she said. Anthony Porter’s exoneration and Alstory Simon’s conviction brought international attention to Protess’ work with the Medill Innocence Project and took place against a backdrop of controversy around capital punishment in Illinois. In 2003, then-Gov. George Ryan instituted a moratorium on executions; the death penalty was subsequently abolished in the state. Protess retired from Northwestern in 2011 and now heads an organization in Chicago that works to reverse wrongful convictions.